Now let get on to dinner for this week! A Link Back to me is not necessary, BUT features will only be chosen if linked back. 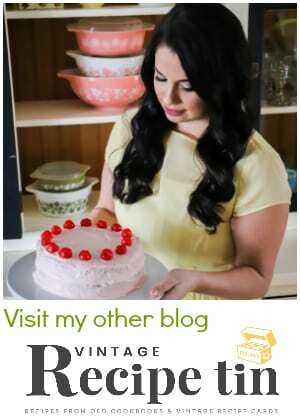 My badge is at the very bottom of the blog, or text link works fine too (linked back to this party). Thanks for another fun party Sarah! I love seeing what everyone else shares too. So excited to see my Cheesy Crock Pot Potatoes featured! Thank you! Hi Sarah, thanks for the party and have a nice weekend. Hi Sarah! thanks for hosting the party. I shared one crock pot recipe (Crock Pot Tortellini Soup) and one non crock pot recipe (My Favorite Marinara). Have a great week! 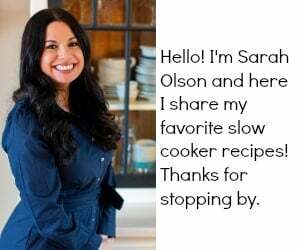 Hi Sarah, Thanks so much for hosting. 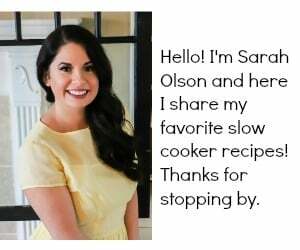 I’ve shared my favorite chili recipe though I didn’t make it in the slow cooker. 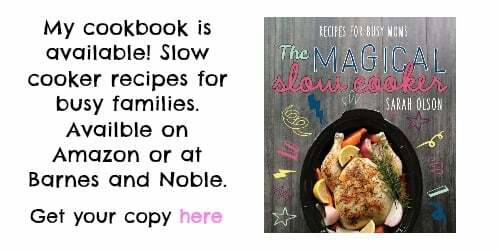 Lots of delicious recipes here. Thank you so much for featuring our Spanakopita recipe! Thank you for host another wonderful party!